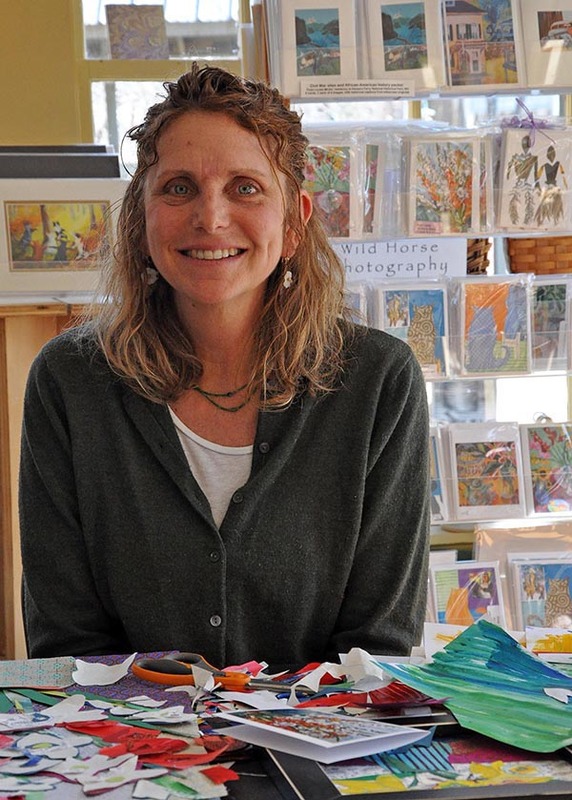 Kerry Stone has been doing art pretty much all her life. She majored in art in college with an emphasis in handbuilt pottery. She exhibited her pottery and taught clay to children for many years in California. She moved back to the east coast in 1989 and continued to teach art and raise her family. About 7 years ago, Kerry decided to switch her medium to painting. She loves the immediacy of painting ! She paints in a very loose and expressive style using strong and beautiful colors. Kerry paints from still lives, her garden, landscapes and family scenes. Visit her website at http://www.kerryjstone.com or call her at (978) 544-5463. Was just at the gallery and was especially drawn to Still Life W/Lemon Tree. Beautiful!! !